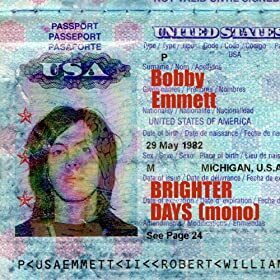 Bobby Emmett-Brighter Days (Mono Edition). Bobby Emmett came out of nowhere, wowing us with 2009's Learning Love, making my top 10 that year. Instead of making that Brendan Benson-meets-Big Star type of album again, Emmett has gone full retro on this one, releasing it in mono and making it sound like it came out in 1966. 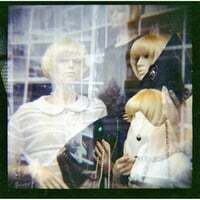 (The album is billed as the "mono edition", but I don't know if a stereo edition is in the cards or not). Brighter Days is full of mid 60-style reverb, British Invasion guitars and the like, and it's a groovy treat. "Poison Love" kicks things off with a bang - there's even a break where Emmett screams "Yeaaahhh!" - and immediately segues into "Stay All Night", which sounds like a lost early-Beatles track. Elsewhere, the Kinks-ian "Never Take Me Alive" is another standout, as is the Strawberry Alarm Clock-like title track. Brighter Days does such a good job of capturing the essence of 1960s rock that I almost hope there isn't a stereo edition.